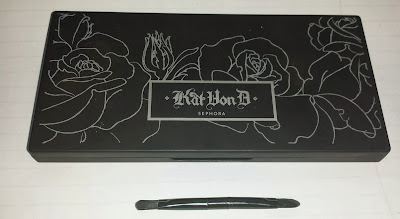 The Kat Von D Ludwig True Romance Eyeshadow Palette is a shimmer and matte combo eyeshadow palette that is apart of the True Romance Palette Collection. This palette and collection is solely exclusive at Sephora. This product is priced at $43/$36 (CDN/USD) for 0.05 oz per eye shadow (8 eyeshadows included). 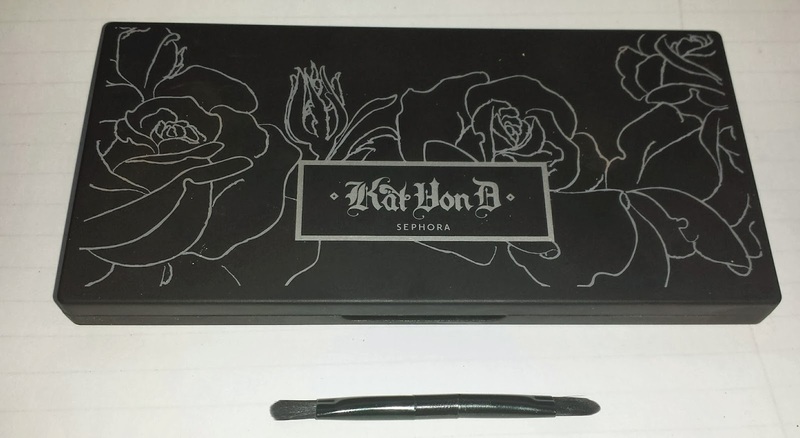 This palette is packaged in a sleek sturdy plastic (black) casing, with a snap to close lid. The compact has a beautiful stenciled imagery of roses (reminds me of a tattoo). 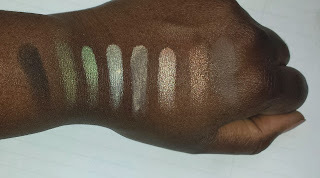 As mentioned before it includes eight shadows (plus two applicators). 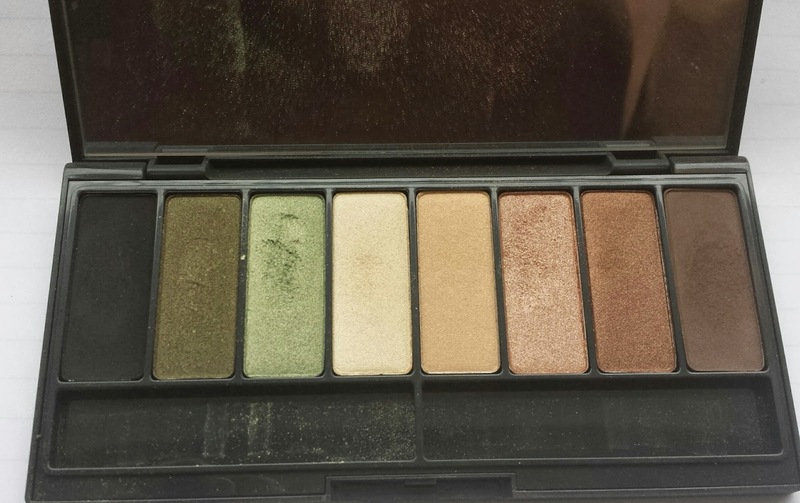 This palette includes a range of nudes to hues of green (2)- Perfect for a smoky eye. The eyeshadow formula has an infusion of rose extract which is hydrating to the eyelids. 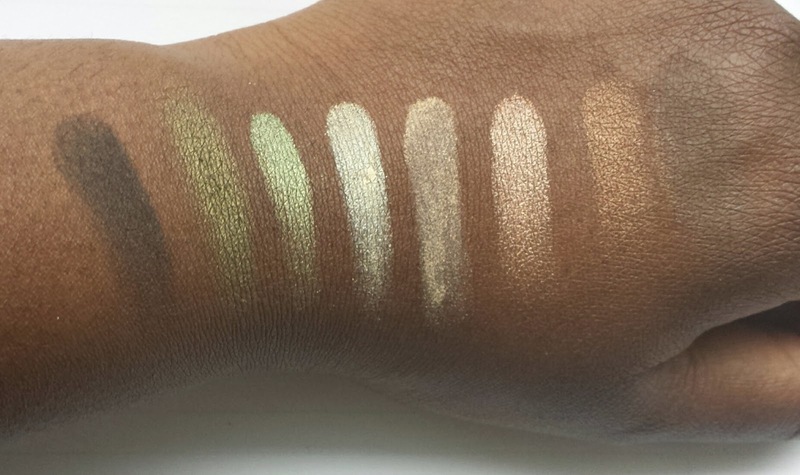 This is easily a day to night palette. Texture: Super soft and silky to the touch. Scent: Has a soft powdery rose scent (barely recognizable). Application: Due to the texture this product is very easily blendable. Fall out: There is fall out (as with all eyeshadows) but this product stays on the lid (even better if you use a shadow primer). Tips: The applicator this product comes with, isn't the best for applying the actual eyeshadow to the lid, crease or brow bone. Better used as a liner brush! 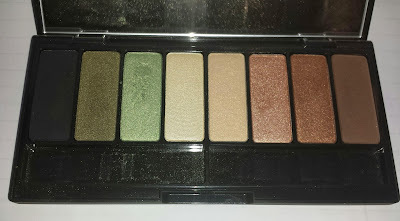 Kat Von D True Romance Eyeshadow Palettes, I'm sure there is one to suit your needs; plus with such a formula and colour pay off, your sure not to be disappointed. Do you own any of the True Romance Palettes? Those colors are gorgeous and so pigmented! I heard Kat's products were amazing so I have been dying to try some! They really are great! This brand doesn't get enough credit! Do give it a try and let me know what you thought of it. Yes its a great line. Give them a try!